My newest bookmark with homemade paperbeads. 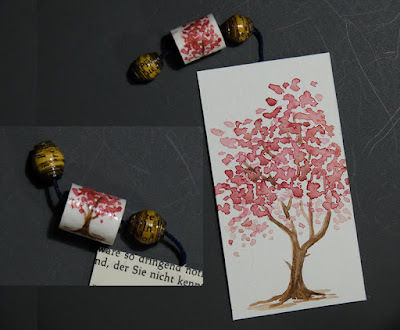 On the middle bead there is a small painted tree like the one on the bookmark. What do you think?